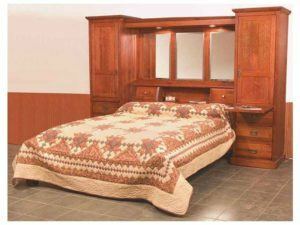 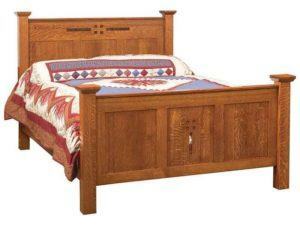 Here’s an impressive collection of custom-made Amish beds from Brandenberry Amish Furniture. 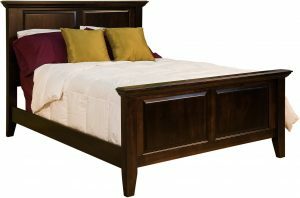 The beds blend durable construction, a sleek finish and a timeless style. 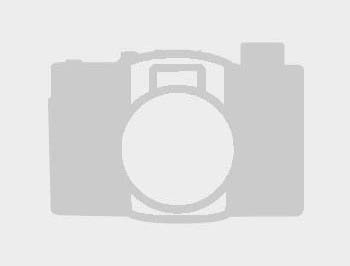 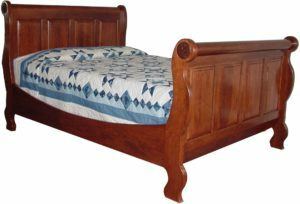 Amish artisans custom-build them all from solid hardwood. 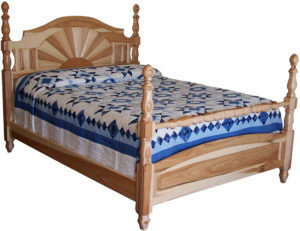 So the bed you choose will be sturdy, beautiful – and heirloom quality. 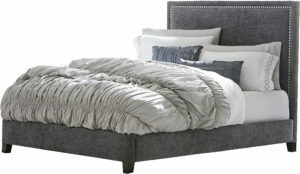 The Adessa Bed features a modern fabric covered style accented with hardwood legs. 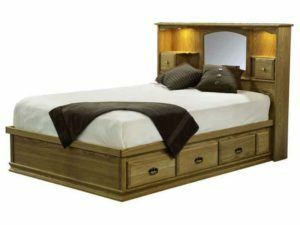 Customize the Adessa Bed Wood Stain Choice Fabric Choice Nail Head Color Options Visit our Shipshewana Furniture Store so you can come see our huge array of hardwood bedroom furniture. 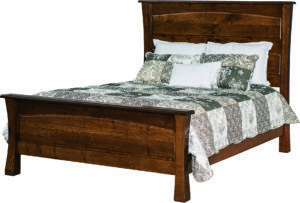 Beautiful wood paneling marks the Batavia Grey Elm Bed. 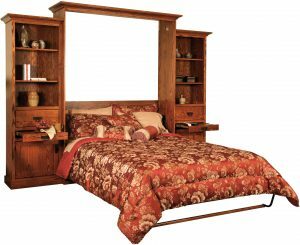 Sturdy storage drawers and headboard storage unite in the Bookcase Bed. 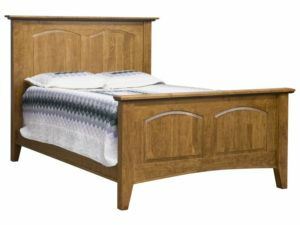 Beautifully designed and solidly crafted, the Brooklyn Mission Bed is a classic home furnishing. 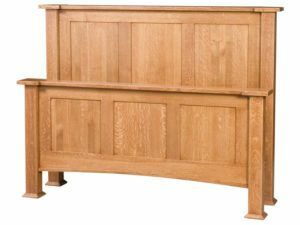 Shaker railing and flat panels are just a few of the features on the beautiful Brooklyn Mission Panel Bed. 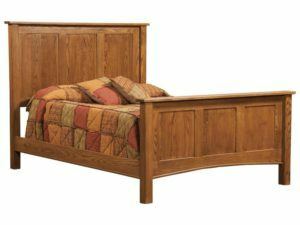 Fine wood paneling highlights the Brooklyn Mission Solid Post Panel Bed. 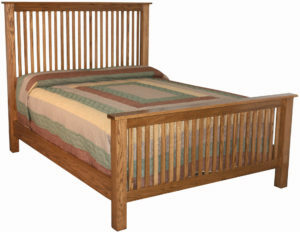 Sturdy, thin wood slats accent the Brooklyn Mission Solid Post Stick Bed. 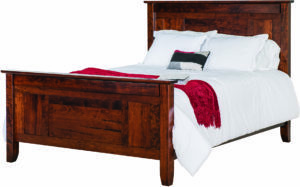 Featuring wood slats, the Brooklyn Mission Stick Bed beautifully accents the bedroom. 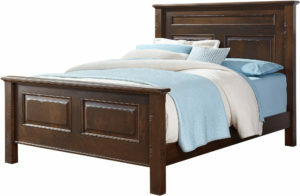 Inspired design and meticulous craftsmanship mark the Brooklyn Shaker Bed. 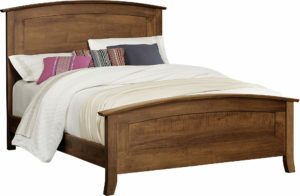 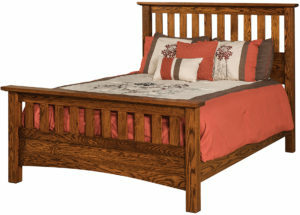 The Classic Mission Bed boasts sturdy wood slats and a sleek finish. 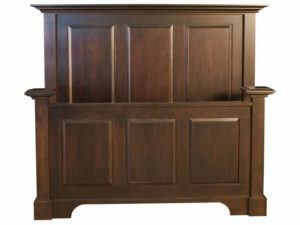 A simple, stately style highlights the Classic Mission Panel Bed. 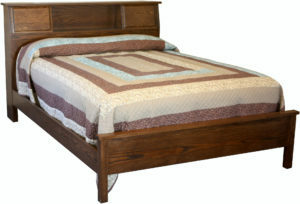 The Classic Mission Storage Bed boasts sturdy wood slats. 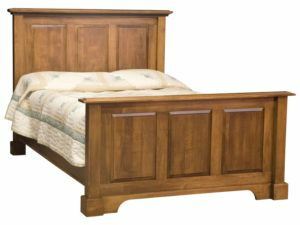 The Classic Shaker Rail Bed blends elegant style and solid construction. 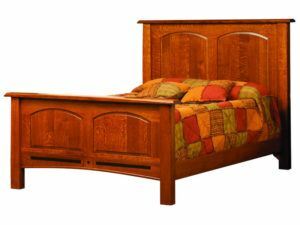 The Escalade Bed features classic reverse raised panels. 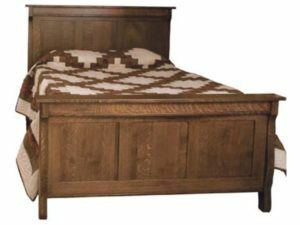 Fine wood paneling accents the Escalade Panel Bed. 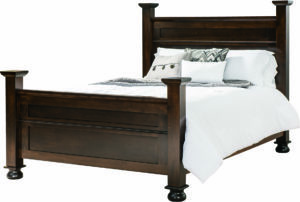 The Escalade Poster Bed boasts an impressive design. 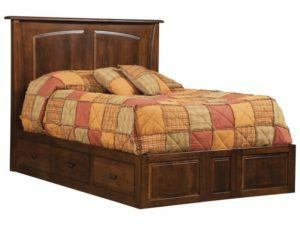 Dynamic headboard storage space marks the Escalade Two Door Bed. 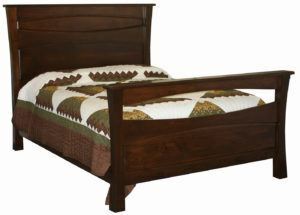 The classic Escalade Wood Bed is crafted from rich brown maple wood. 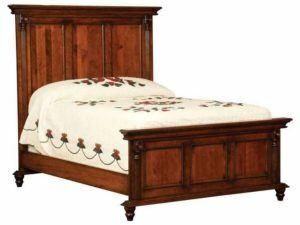 Elegant finish and classic design make the French Country Bed a great home furnishing. 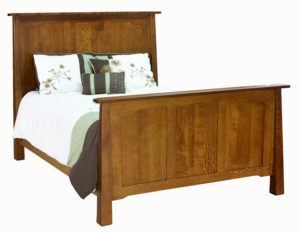 Classic design and beautiful paneling accent the French Country Classic Bed. 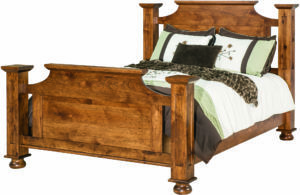 A blend of traditional accents and modern design highlights the French Country Panel Bed. 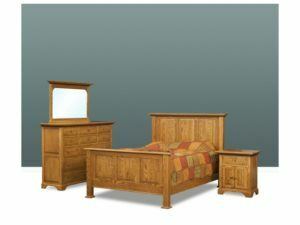 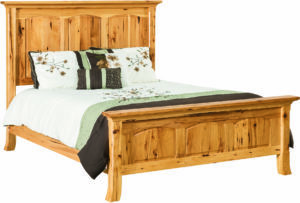 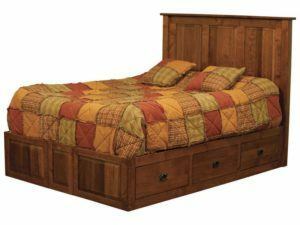 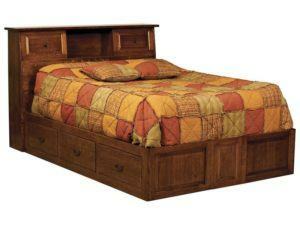 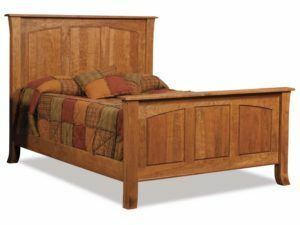 Timeless design and durable construction will make the French Country Wood Bed a treasured home furnishing. 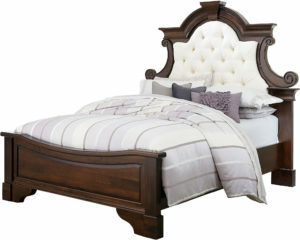 A beautiful arched headboard accents the Hampton Bed. 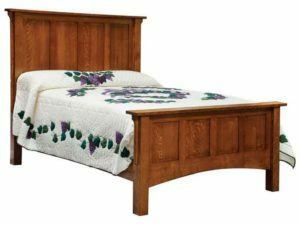 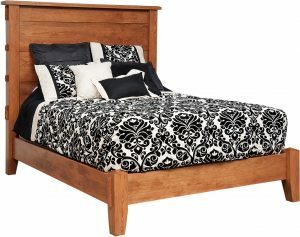 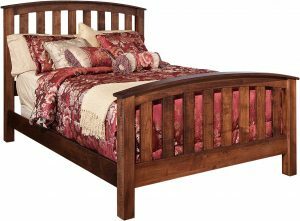 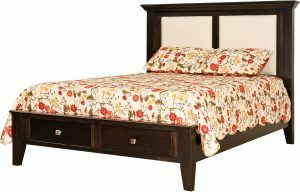 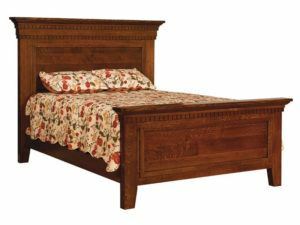 The Hampton Sap Cherry Bed features a beautiful, stately design. 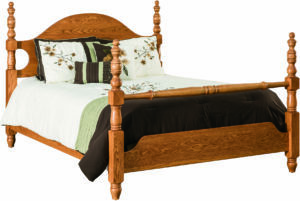 The Hickory Hilltop Collection Bed blends elegant design and sturdy hickory construction. 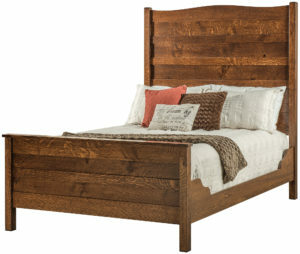 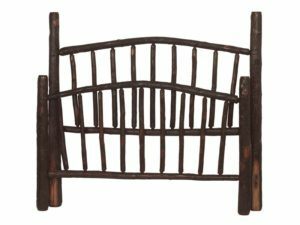 Rustic hickory wood construction accents the Hickory Lumberjack Bed. 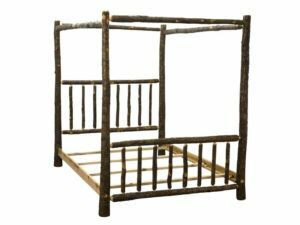 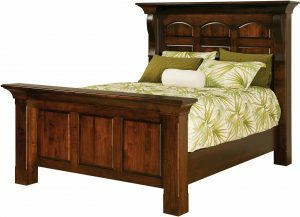 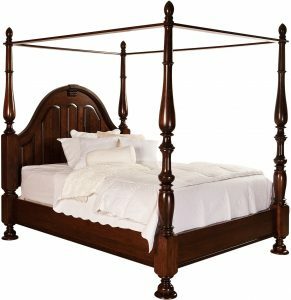 The Hickory Queen Canopy Bed features fine wooden rails. 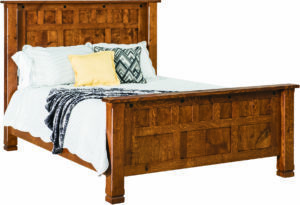 Beautiful wood paneling accents the Lavega Bed. 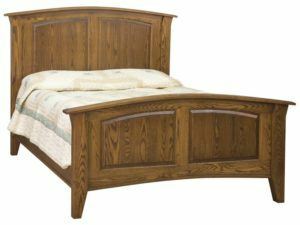 The McCoy Bed features a classic yet modern design. 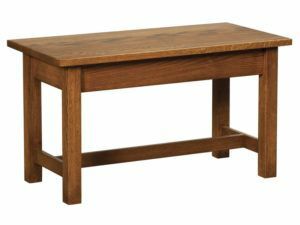 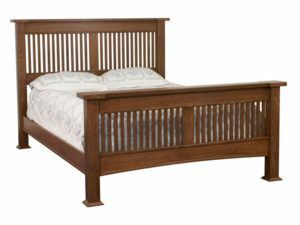 Strong mortise and tenon construction accents the McCoy Bed Bench. 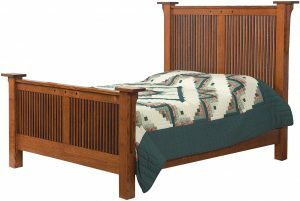 A tall headboard and solid slats distinguish the stately McCoy Slat Bed. 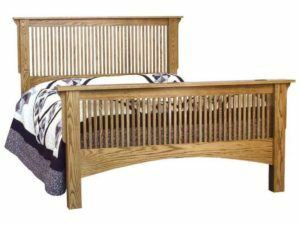 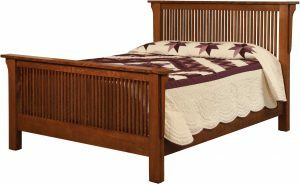 The McCoy Slat Bed features strong wood slats. 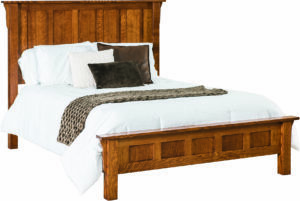 Bring the finest of handcrafted furnishings home with the Mondovi Bed. 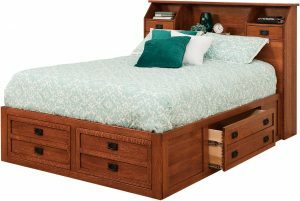 Also view the Mondovi Storage Bed for a different way to store those extra pieces. 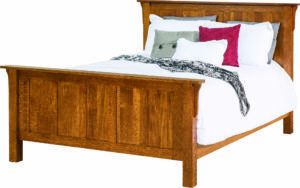 Dynamic storage space and a classic style meet in the Mondovi Storage Bed. 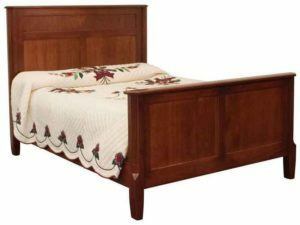 The unique bowed headboard with traditional railing accents the Shaker Bed. 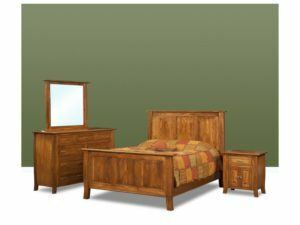 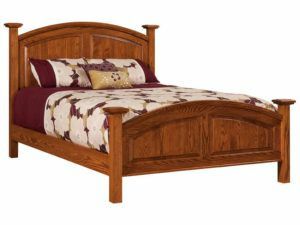 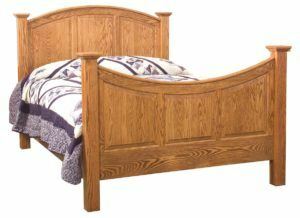 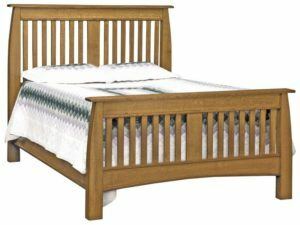 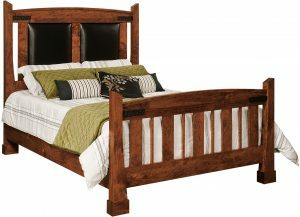 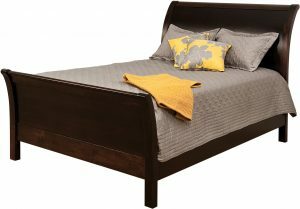 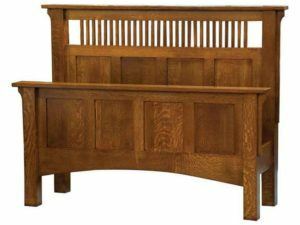 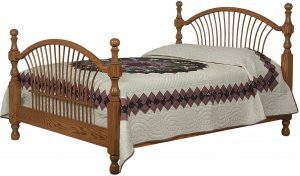 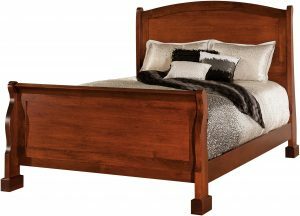 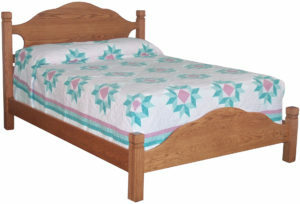 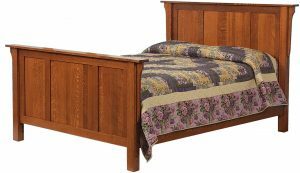 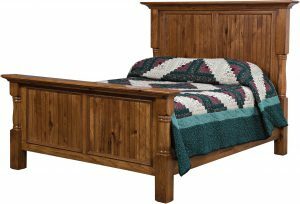 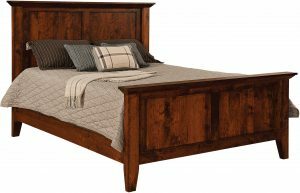 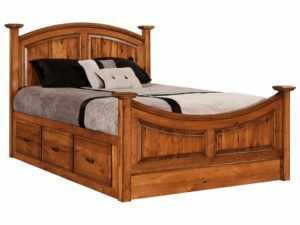 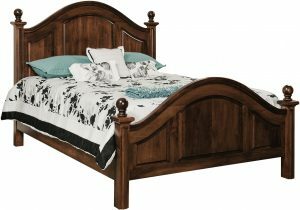 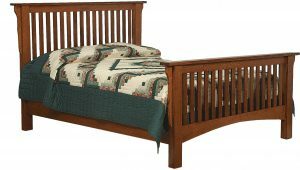 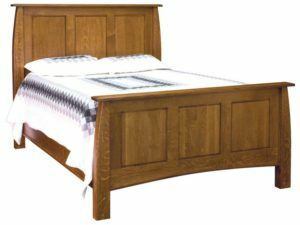 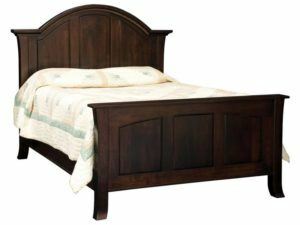 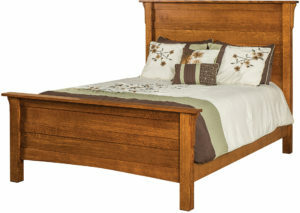 The Shaker Wood Bed features a beautifully-curved headboard and footboard. 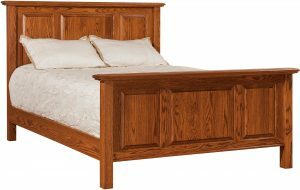 The Superior Shaker Bed boasts a unique twist to the classic Shaker style. 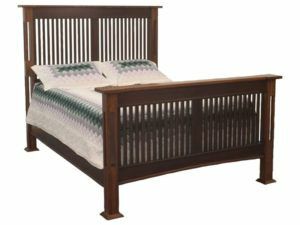 Sturdy wood slats define the classic Superior Shaker Slat Bed. 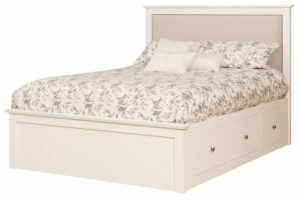 Durable storage drawers and a classic design mark the Superior Shaker Storage Bed. 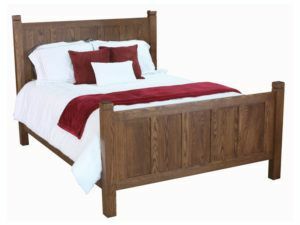 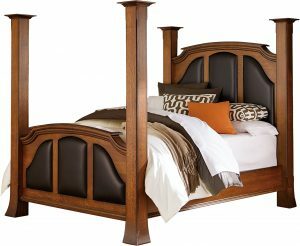 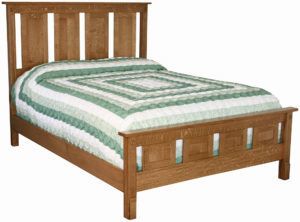 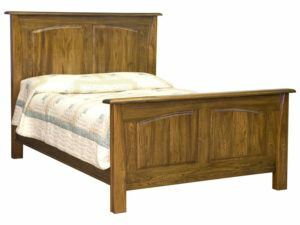 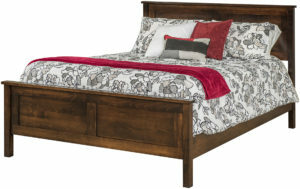 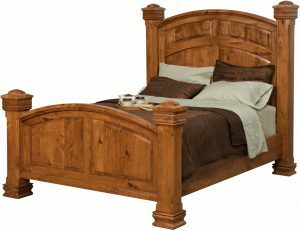 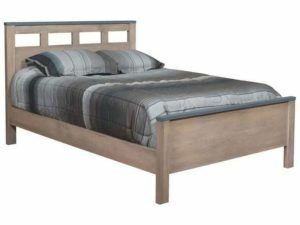 The Wellington Bed features fine wood construction. 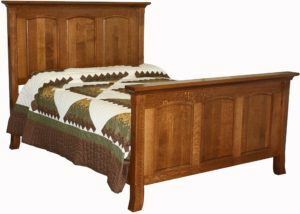 Presenting a vast array of custom-made, solid hardwood beds, representing countless styles and designs. 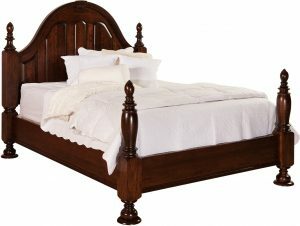 From Mission, Shaker and Queen Anne to Escalade to Batavia and Charleston. 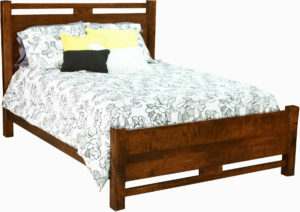 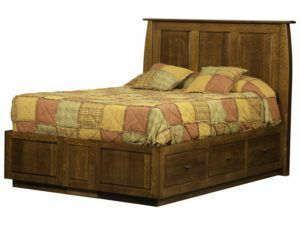 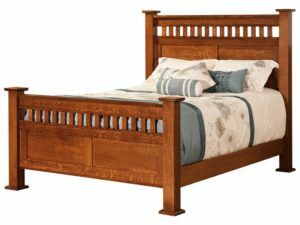 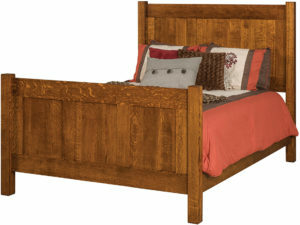 We even offer a large line of rustic hickory beds. 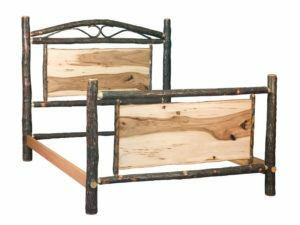 Seeking children’s furniture? 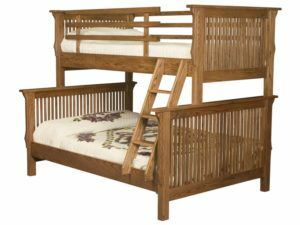 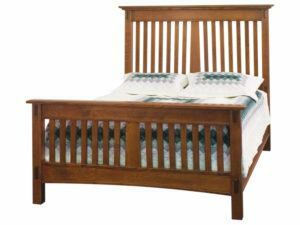 You can find many youth beds and cribs at Children’s Furniture. 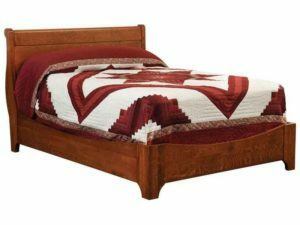 So what makes our beds different? 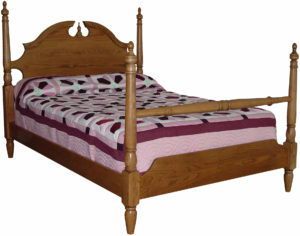 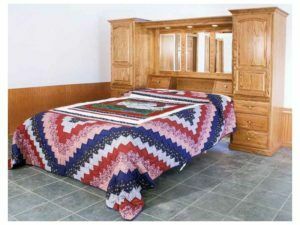 Amish artisans painstakingly handcraft each bed. 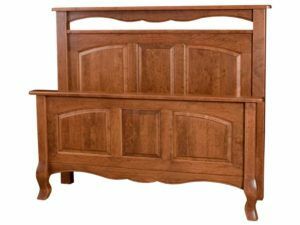 And they use solid hardwoods like oak, cherry, maple and hickory. 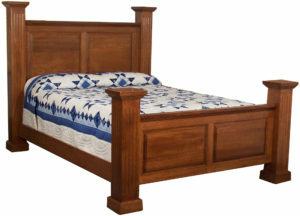 Plus skills handed down from their ancestors, along with modern technologies. 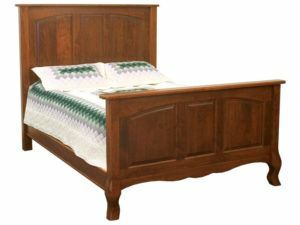 So, with proper care, the bed you choose should last for generations to come. 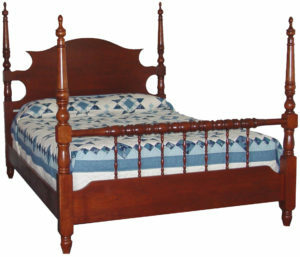 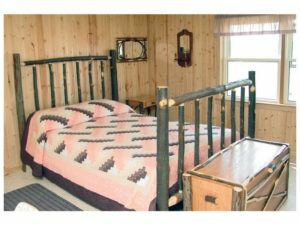 Interested in seeing our Amish beds first-hand? 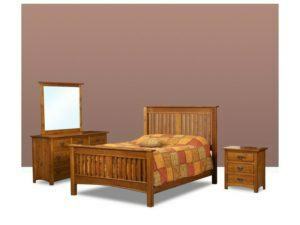 Visit our ‘brick and mortar’ store in Shipshewana, Indiana. 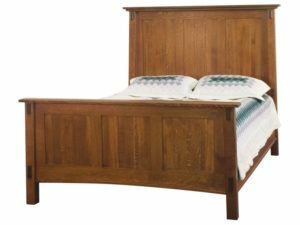 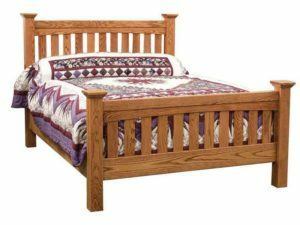 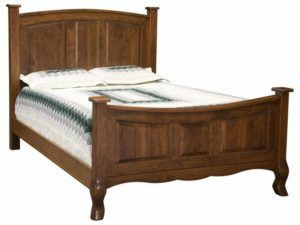 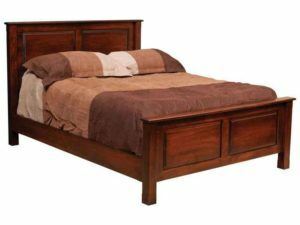 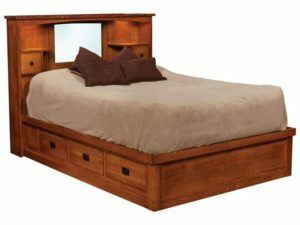 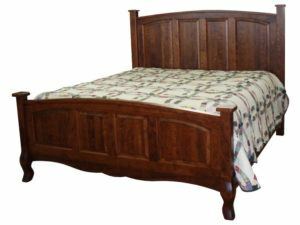 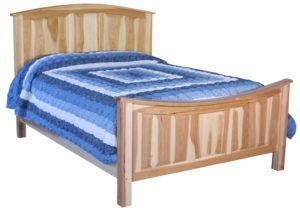 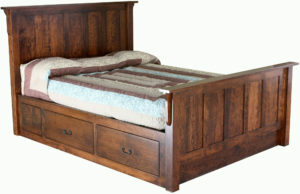 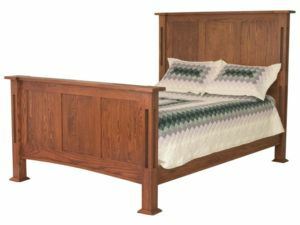 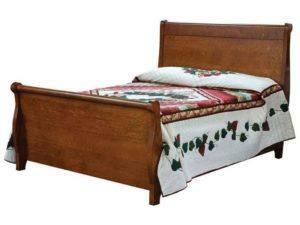 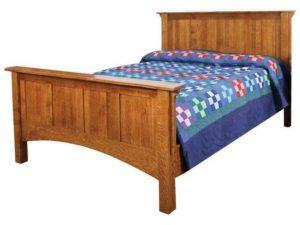 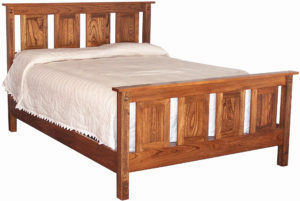 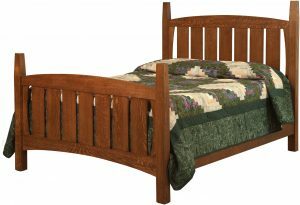 And see for yourself why so many people keep choosing custom Amish beds from Brandenberry.